Midterm elections used to be somewhat sleepy affairs, with voter turnout well below the levels of a presidential election. But this time it’s different. A record 19,086,589 Californians were registered to vote on Sept. 7, with Republicans dropping below the 25 percent level statewide. Many California voters see the contests at all levels on Nov. 6 as a referendum on President Donald Trump. 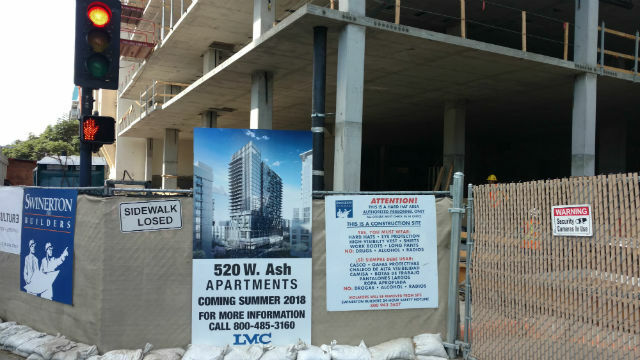 And controversial ballot measures that would repeal the gas tax increase, permit local rent control and decide the future of Mission Valley add to voters’ interest. Here is Times of San Diego’s guide to the key races and propositions on the ballot in San Diego County. A California political newcomer backed by President Trump faces former San Francisco Mayor and Lt. Gov. 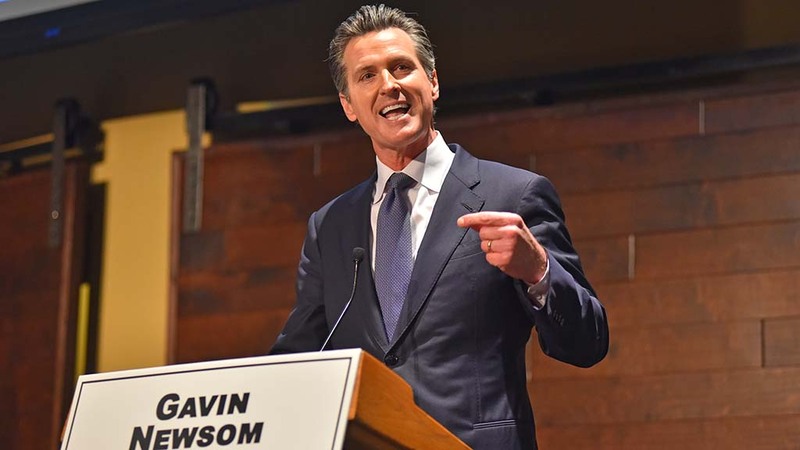 Gavin Newsom in the race to lead America’s wealthiest and most populous state. John Cox, a Republican businessman who pursued multiple offices unsuccessfully in his home state of Illinois, moved to Rancho Santa Fe a decade ago and recently entered California politics at the highest level. His major policy positions include repealing the gas tax increase, cutting other taxes, ending California’s “sanctuary state” policy and making it easier to build new housing. Newsom, a successful entrepreneur who has evolved into a liberal Democrat, has been widely endorsed by the state’s political establishment. 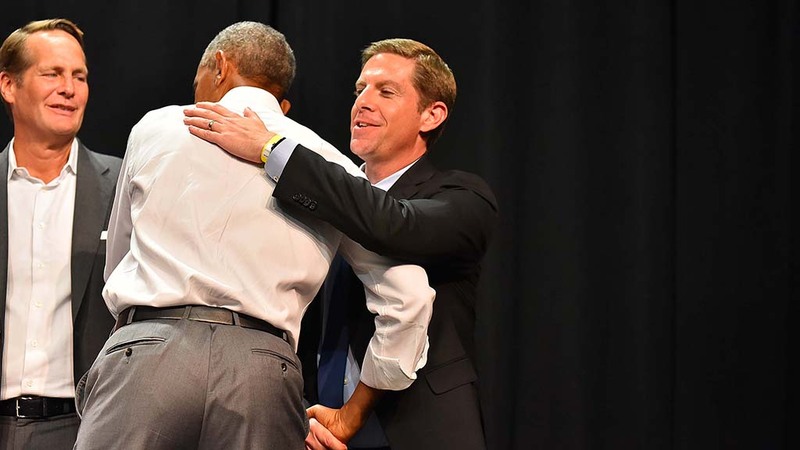 The major theme of his campaign is defending “California values,” and he proposes policies “grounded in both compassion and innovation.” Specifics include support for renewable energy, gun safety legislation and immigrant communities; reforming the criminal justice system; providing free community college tuition; and, most controversially, healthcare for all. Two Democrats are vying for Lieutenant Governor, state Sen. Ed Hernandez, a practicing optometrist for Azusa, and Eleni Kounalakis, a housing developer and former ambassador to Hungry during the Obama administration. The largely powerless position is often a stepping stone to the governor’s office. 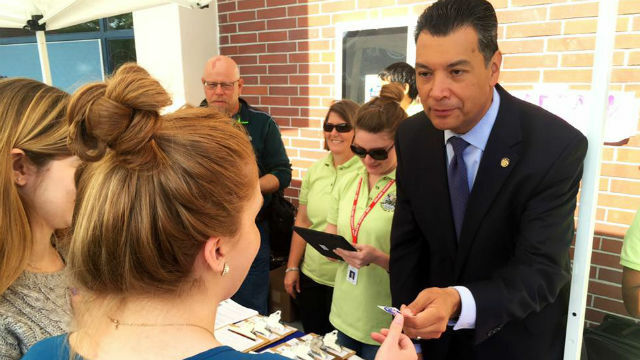 Alex Padilla is seeking a second term as Secretary of State. He has spearheaded efforts to simplify voter registration in California, introducing registration at DMV office and pre-registration for high school students. He has also been a vocal critic of President Trump’s now disbanded commission investigating voter fraud. He faces Republican attorney Mark Meuser. 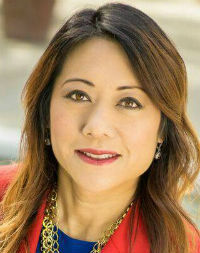 Controller Betty Yee is running for a second term as the chief financial officer for world’s fifth largest economy. She shares Gov. Jerry Brown’s focus on “fiscal discipline.” Her opponent is Republican Konstantinos Roditis, an Anaheim businessman. Treasurer Fiona Ma is also seeking re-election. Ma is a CPA who has served in the state Assembly and on the Board of Equalization. Opposing her is Republican Greg Conlon, an 85-year-old businessman who was a state Public Utilities Commission member in the 1990s. Xavier Becerra, who was appointed Attorney General following Kamala Harris’ Senate victory, is seeking election to a full term. He has led a coalition of Democratic-majority states in legal opposition to the Trump administration’s policies on immigration, the border wall and the environment. The former congressman, who represented Los Angeles-area districts for 20 years, faces Republican Steven Bailey, a retired El Dorado County superior court judge. The race for Insurance Commissioner pits venture capitalist Steve Poizner, who held the post under Gov. Arnold Schwarzenegger, against state Sen. Ricardo Lara. This time Poizner is running as an independent, but has significant Republican backing. 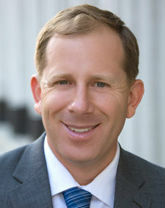 Lara, who represents the Long Beach area, is notable for his support of immigrant and LGBTQ rights. Charter schools advocate Marshall Tuck is challenging Tony Thurmond for the Superintendent of Public Instruction position. Thurmond, who represents the East Bay in the state Assembly, is endorsed by the California Democrat Party. 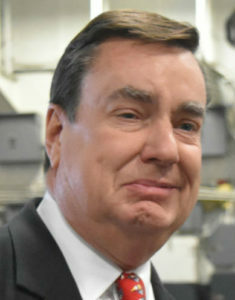 Tuck, who was founding CEO of the nonprofit Partnership for Los Angeles Schools, has received notable endorsements in San Diego, including Democratic Assemblymember Shirley Weber and Mayor Kevin Faulconer, a Republican. Alpine resident Joel Anderson, a Republican who is termed out in the state Senate, is seeking a position on the Board of Equalization, which ensures that taxes are assessed fairly. His Democratic opponent is 80-year-old Mike Schaefer, a San Diego City Councilman in the 1960s and a perennial candidate since then. Dianne Feinstein faces an unexpected challenge from another Democrat in her bid for a sixth term in the Senate. Though widely praised as a political workhorse who has the knowledge and connections to get bills passed, progressive Democrats consider her too moderate. As a result, the California Democratic Party voted to endorse state Sen. Kevin de León. Nevertheless, polls show Feinstein comfortably in the lead. Races in two San Diego County districts have gained national attention, in part because Democrats hope to retake control of the House of Representatives. In the 49th District, where embattled Republican Rep. Darrell Issa is retiring, Republican Diane Harkey, a member of the State Board of Equalization, faces Democrat Mike Levin, an environmental lawyer. Issa endorsed Harkey as his successor in the North County District, and Trump announced his backing, but Levin has benefited from the support of and campaign appearances by former President Obama and Rep. Gabby Giffords. Like other California Republicans, Harkey wants to repeal the gas tax increase and end “sanctuary state” policies. Levin’s positions include support for sustainable energy, environmental protection, immigrant rights and preventing gun violence. He would increase federal funding for basic scientific research to benefit the biotech industry in San Diego and Orange counties. The 50th District, which has been represented by the Hunter family for more than four decades, was seen as safely Republican until Rep. Duncan Hunter — and his estranged wife — were indicted on charges of misusing campaign funds. Hunter called the indictment politically motivated. And he has lashed out at his Democratic opponent, Ammar Campa-Najjar, calling him an Islamic infiltrator. 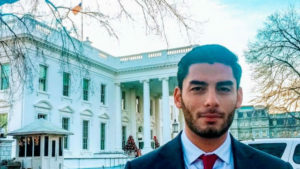 Campa-Najjar’s father is Palestinian; his mother Mexican. The former Obama administration official is a Christian. Campa-Najjar advocates expansion of the Affordable Care Act, and job training and other programs that would help working families enter the middle class. In the three other Congressional districts in San Diego County, incumbents Susan Davis, Scott Peters and Juan Vargas — all Democrats — do not face serious opposition. Two incumbents, Senate Minority Leader Patricia Bates in the 36th District and Democrat Ben Hueso in the 40th District, do not face serious opposition. In the 38th District, former Santee City Councilmember and state Assemblymember Brian Jones, a conservative Republican, faces Jeff Griffith, a Democrat who is a Cal Fire paramedic captain and member of the Palomar Health District board. Most of these races were essentially decided in the June primary. Incumbents Randy Voepel in the 71st District, Marie Waldron in the 75th District, Todd Gloria in the 78th District, Shirley Weber in the 79th District and Lorena Gonzalez-Fletcher in the 80th District have only token opposition. However, in the 77th District, which covers the northern half of the City of San Diego and Poway, Brian Maienschein faces a challenge from Scripps Ranch resident and small business owner Sunday Gover. Maienschein, a lawyer, served two terms on the San Diego City Council and has raised considerably more money, but it’s a tough year for even moderate Republicans. There’s one race without an incumbent. That’s the 76th District in coastal North County, where Assemblymember Rocky Chavez is termed out. 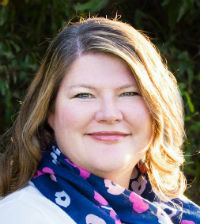 Tasha Boerner Horvath, an Encinitias City Councilmember and small business owner, faces Elizabeth Warren, an activist who was involved in efforts to stop the Trans-Pacific Partnership. Both candidates are Democrats. Voters are being asked to ratify the terms of two new associate justices of the state Supreme Courty, Carol Corrigan and Leondra Kruger, and 14 associate justices in the Court of Appeal’s fourth district, which covers San Diego, Imperial, Orange, San Bernardino, Riverside and Inyo counties. All are considered qualified. There is one judicial race in San Diego County, office 37 of the Superior Court, and it has received widespread attention. The San Diego County Bar Association rates incumbent Judge Gary Kreep, a Ramona lawyer who was active in the “birther” conspiracy theory, as “lacking qualifications.” Last year the state Commission on Judicial Performance issued a severe public censure of Kreep. Opponent Matt Brower, a deputy district attorney, is rated “qualified” by the bar association. Terms limits are forcing the retirement of long-time supervisors Ron Roberts in San Diego and Bill Horn in North County. Their positions are officially non-partisan, but both are Republicans, and at least one of their successors could be Democrat after this election. That would end the current Republican dominance on the five-member board. 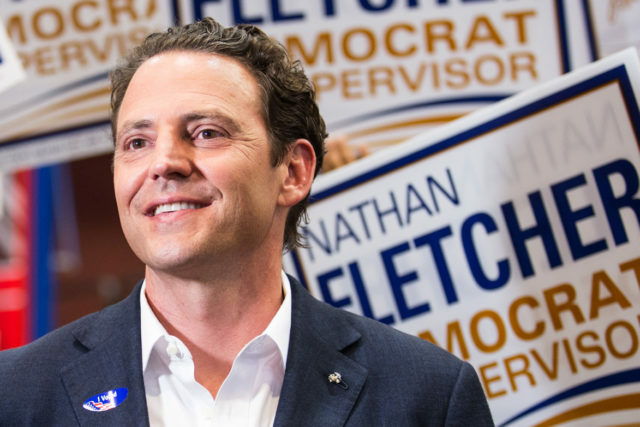 Former state Assemblymember and two-time Mayoral candidate Nathan Fletcher faces retired District Attorney Bonnie Dumanis in the race of succeed Roberts. Fletcher, who began his political career as a Republican but is now a Democrat, edged out Dumanis in the primary, and polls show him in the lead. In North County, San Marcos Mayor Jim Desmond, a Republican, is opposed by Michelle Gomez, a community volunteer with union backing. Polls show him with a wide lead. There are races in four of the nine City Council districts. Incumbents Lori Zapf in District 2 and Chris Cate in District 6 led in the primary, and are expected to win in the general election. 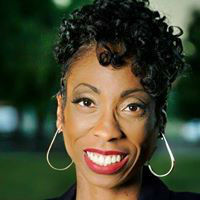 Incumbent Myrtle Cole in District 4 finished the primary neck-in-neck with Monica Montgomery, a lawyer and former senior policy advisor on the city staff. Montgomery says she is running for office to “put community first, without the influence of special interests.” Cole, who is council president, touts her four decades of police and community work in the 4th District. Another close race is in District 8 between Antonio Martinez, a San Ysidro school board member, and Vivian Moreno, an aide to current City Councilmember David Alvarez. Martinez made it to the general election by just 3 votes, but the two primary candidates who lost have since endorsed him. Propositions 1, 2, 3 and 4 authorize bond issues to fund, respectively, affordable housing, housing for individuals with mental illness, water projects and children’s hospital expansions. The first two were placed on the ballot by the state Legislature, the second two by signature drives. There’s criticism that Proposition 3 would unfairly benefit the Central Valley, but otherwise little opposition to these measures. Proposition 5 is more controversial. It would let homeowners 55 and older buy a more expensive home without paying the higher property taxes that younger buyers would face. Proponents argue this would encourage seniors to move and free-up housing for the next generation, but the state Legislative Analyst’s office predicts the primary impact would be a $1 billion a year shortfall in school funding. Proposition 6 would repeal Senate Bill 1, year-old legislation that increased the gas tax by 12 cents per gallon to fund road, bridge and transit repairs and improvements across the state. The measure was widely supported by the business community, and numerous projects are underway, identified by conspicuous “SB1” signs. Former San Diego City Councilman Carl DeMaio is leading the effort to repeal the law. Nobody disputes the poor state of California’s roads, but opponents argue that repairs could be achieved less expensively by making Caltrans more efficient. There’s also a Machiavellian political angle: Republicans see this as a red-meat issue to get out their base and possibly save a number of Congressional seats. Proposition 7 makes that statement that California wants year-round daylight saving time. But the decision is actually up to Congress. If federal law changes, and you want California to be in a position to quickly adopt year-round daylight saving time, then vote for this proposition. Proposition 8 is ostensibly an effort to control the cost of kidney dialysis, but dialysis patients, clinic operators and the National Kidney Foundation are all against it. It’s really an attempt by the SEIU-United Healthcare Workers West union to undermine the business of clinics that have resisted union organizing attempts. Proposition 10 would repeal the 1995 Costa-Hawkins law which limited local rent control. Cities and counties would then be able to enact rent-control ordinances, though landlords would still have a right to a fair financial return. Economists almost universally oppose rent-control measures because they discourage construction of new housing. Proposition 11 would require employees of private ambulance companies to remain reachable during paid breaks from work. Currently state law mandates “off-duty” breaks. Proposition 12 sets minimum space requirements for veal calves, breeding pigs and egg-laying hens, and requires cage-free environments for hens by the end of 2021. It applies the same standards for eggs and meat produced elsewhere and sold here. The Humane Society of the United States is the chief sponsor of the measure. There are four countywide ballot measures in this election. The first, Measure A, is a technical change to the county charter to conform to state and federal laws. Measure B ensures balanced representation of incorporated and unincorporated areas among the five Board of Supervisors districts. Measure C requires pension-related funds to only be used for pensions to ensure long-term fiscal stability. The last, Measure D, is a bit controversial. 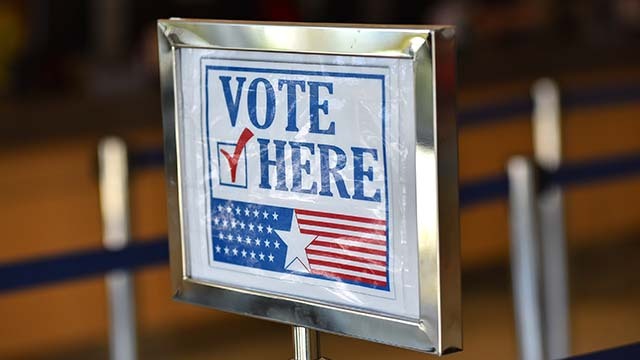 It would require the top two candidates in a primary election to always proceed to the general election, even if one of the candidates receives greater than 50 percent of the vote in the primary. This would favor the Democrats since that party’s turnout is typically higher in a general election than a primary. There are seven local San Diego ballot measures this time. 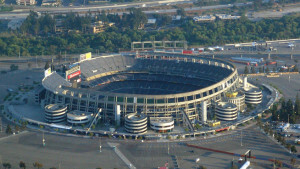 Two are competing measures concerning the future of the 166-acre former Qualcomm Stadium site, and the remainder are largely technical changes to the city charter. SDCCU Stadium, formerly Qualcomm Stadium, in Mission Valley. Photo courtesy of Minerva Vazquez, Wikimedia Commons. The first two, Measures E and Measure G, offer generally similar visions, but with significant differences in how the plans would proceed. The first is SoccerCity. This almost made it to a special election last November, but the City Council balked at spending the money, booting the issue to this year. In the interim, supporters of San Diego State University gathered sufficient signatures for another, competing initiative. SoccerCity, which is backed by La Jolla-based FS Investors, would include a 23,500-foot soccer stadium that could also accommodate Aztecs football, a river park, commercial and residential areas, and space for a campus extension. The university would guide development under the second measure, with plans calling for a 35,000-seat football stadium, commercial and residential space, a river park and a campus extension. 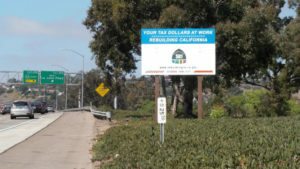 SDSU West has received widespread public support, from the San Diego Regional Chamber of Commerce to the Sierra Club, while SoccerCity is still backed by San Diego Mayor Kevin Faulconer. The San Diego County Taxpayers Association says it will generate the most tax revenue. The key questions to consider are soccer versus college football, private versus public development, and whether there could be an as yet unknown third possibility. Measures J, K, L, M and N are technical charter amendments covering financial disclosure, term limits, compensation, audit committee appointments and police benefits. 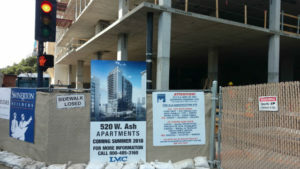 All were placed on the ballot by the City Council without opposition.